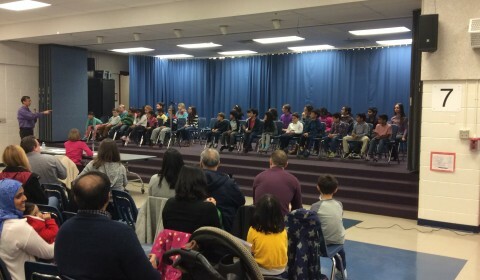 The 2016 Freedom Hill Spelling Bee was held on the evening of Wednesday, Feb 17th, and was a rousing success. 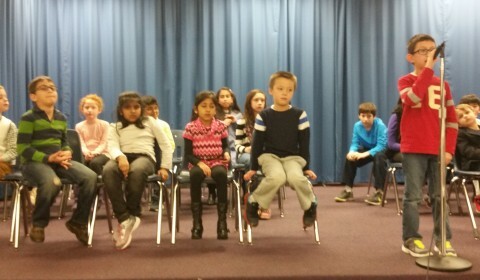 Thirty-five finalists from Grade 1 to Grade 6 participated and gave it their best shot. The atmosphere was electric and the younger kids surprised everyone by outlasting kids in the higher grades. At the end of 11 rounds, two brothers emerged from this group to engage in a word duel that lasted another 25 rounds. 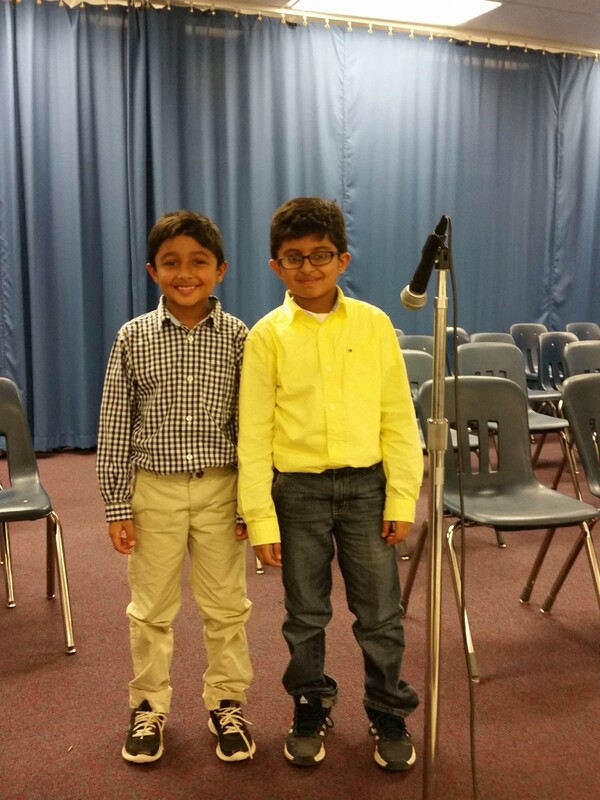 In the end, Shrey Desai (Grade 3) was named the 2016 Freedom Hill Spelling Bee Champion. 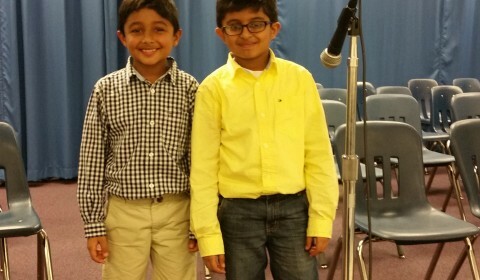 The runner-up was Hrishi Desai (Grade 2) with Erin Malloy (Grade 6) coming in third place. 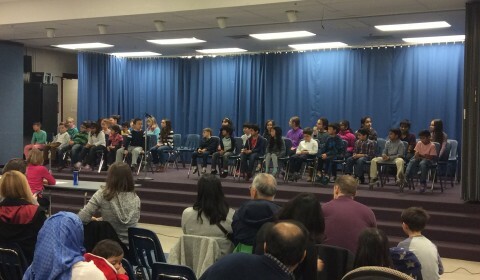 The school champion now goes on to compete in the Fairfax County Spelling Bee on March 13th at Lanier Middle School. 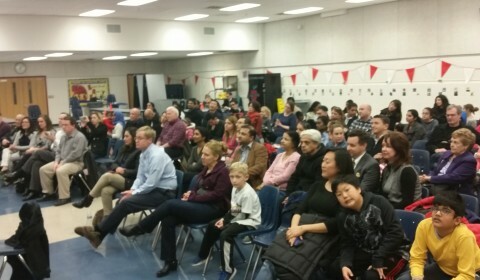 Celebrate Reading with FHES Staff and Students at Dr. Seuss Night!